This is a book we've all been wanting but didn't know we needed. It's an addiction. The oldest one. It has caused every human from the first person to now to navel gaze rather than God gaze. Its tagline is "What's in it for "me?"" It has caused families to break up, portfolios to bankrupt, and individuals to self-destruct. The addiction? 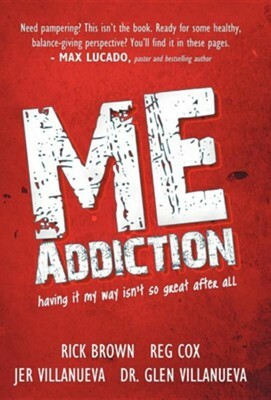 The ME Addiction. It's that ingrained reaction to think of self first and others later. Sometimes much later. It's the idea that having it my way is the best way. Believing that has elevated our egos, sent us into hiding, broken our community, surfaced anxiety, and saturated us with stress. But "having it my way" wasn't the original way. At the beginning, the first response was to look to God. The better question was, "What's in it for him?" 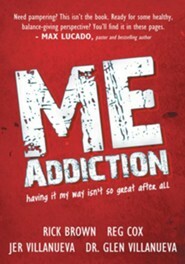 "ME Addiction" will help you diagnose the human condition and take steps to a better life. A life that breaks free from the oldest addiction known to humans and begins to live a revolutionary life. The life for which you were created. Discover what a ME-free world looks like, starting here. I'm the author/artist and I want to review Me Addiction: Having It My Way Isn't So Great After All.